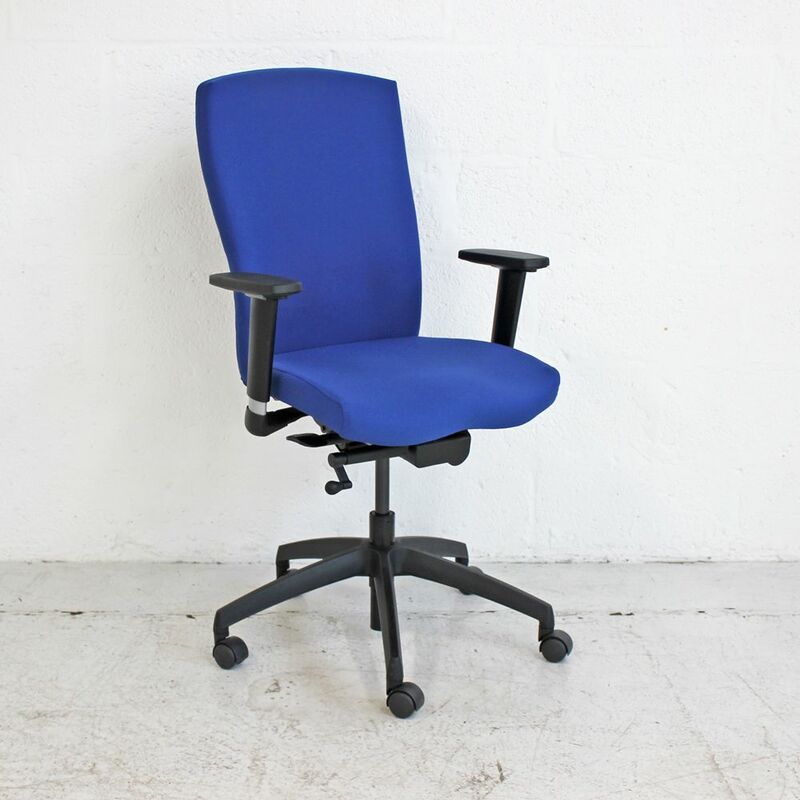 Upholstered in a rich blue fabric this ergonomic task chair features a sculpted seat providing comfort for the user. 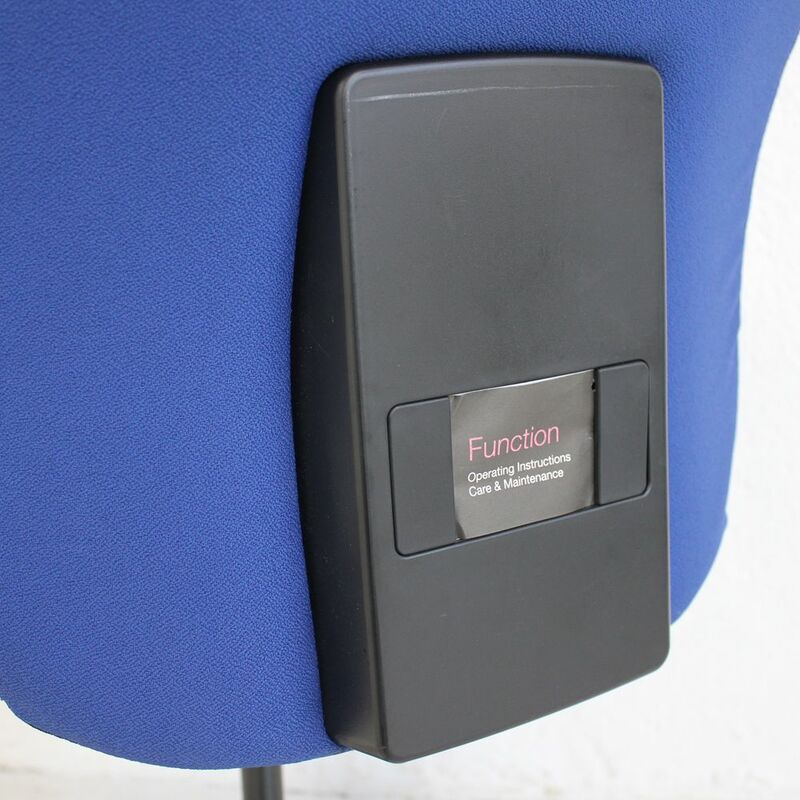 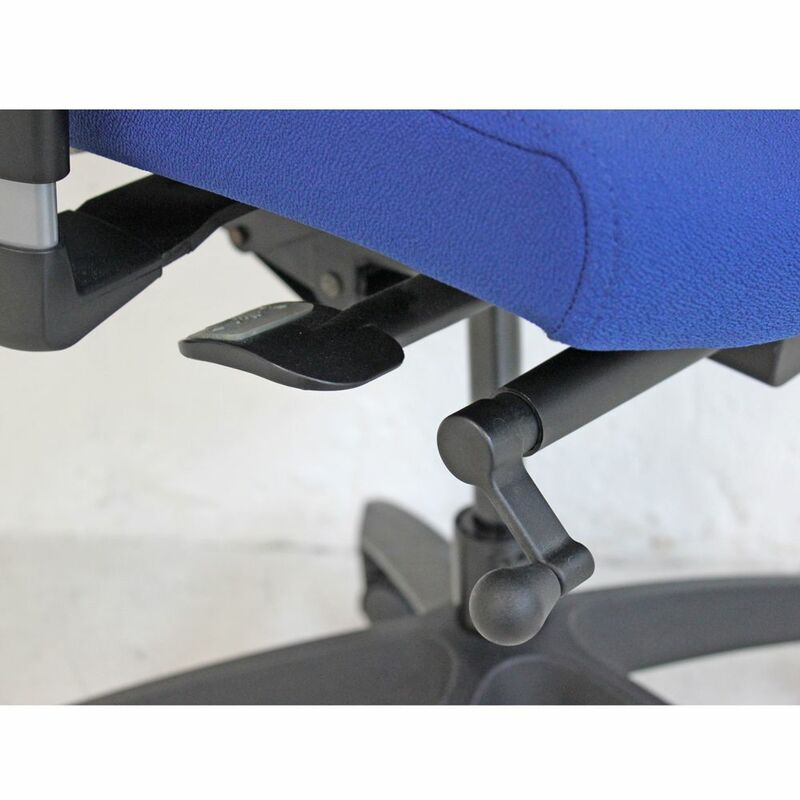 All the features above operate on easy to adjust leavers allowing the user to create a comfortable seating position. 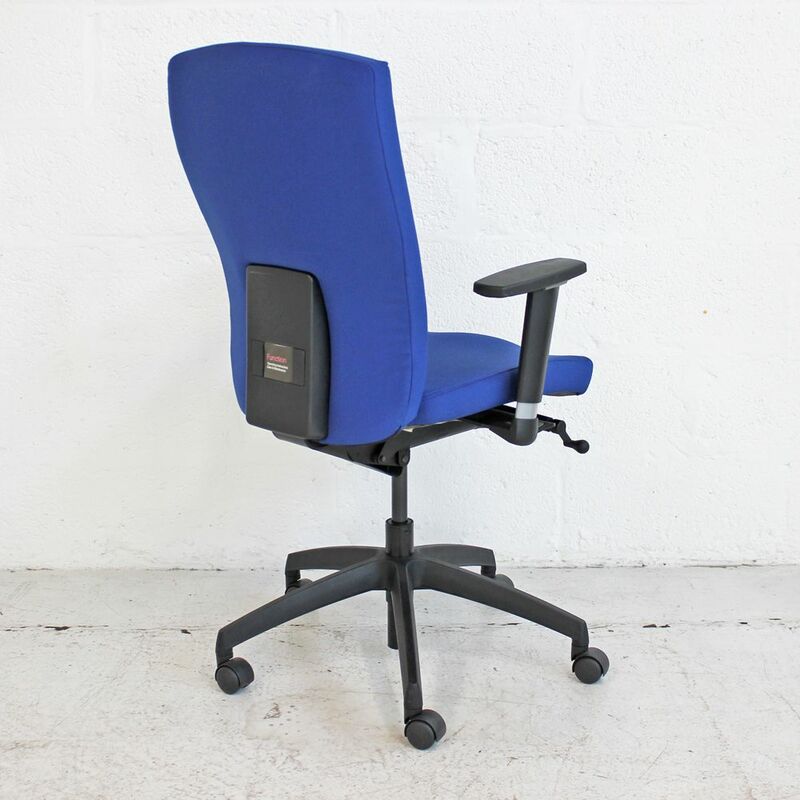 If you're looking for quality used operator chairs like this blue computer chair then Barkham Office Furniture is the place to visit. 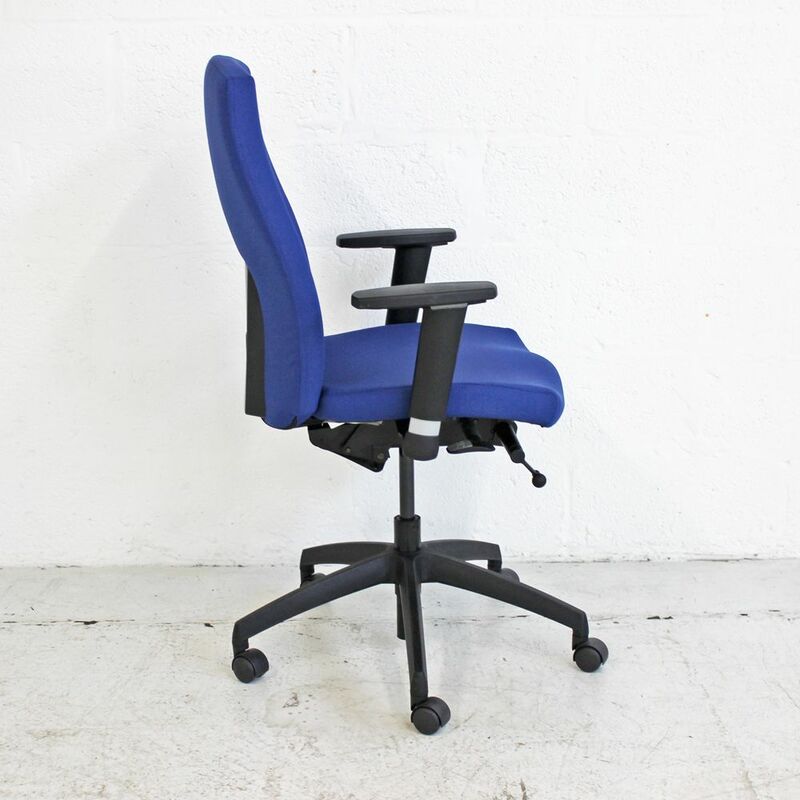 For more information on the blue task chair please don't hesitate to get in touch.